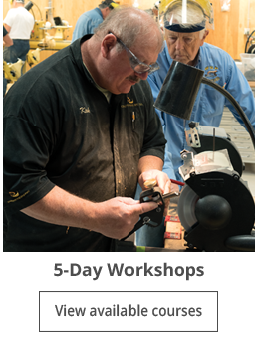 Since 1983, Craft Supplies USA has been helping aspiring woodturners experience the joy and satisfaction that woodturning has to offer. 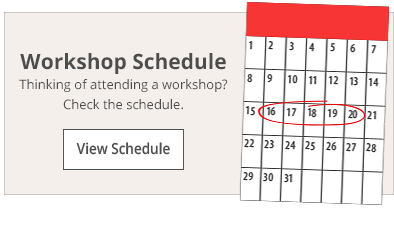 Thousands of students have participated in our workshops over the years with a large number attending multiple classes. 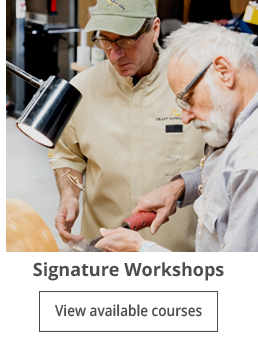 We believe there’s no better way to learn a skill than to participate in a hands-on workshop. Participants wholeheartedly agree. “I learned more in a few days than I would have learned in a lifetime on my own” is a comment that students often share. Make this your year to join us for the experience of a lifetime that you’ll never forget. We understand the value of great teachers. They are the heart of our workshop program and are essential to a great experience. 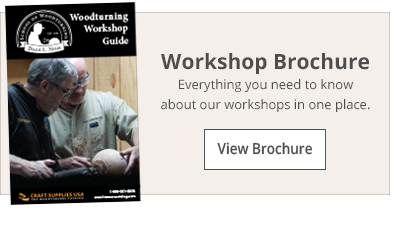 For that reason, we make sure that our instructors are the best woodturning has to offer. Every instructor has a proven ability to convey information in an effective way, has extensive experience and a solid skillset to draw from. 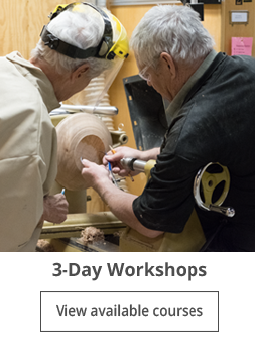 Most of all, our Instructors enjoy sharing their love of woodturning with students. This state-of-the-art workshop facility is the finest in the world. 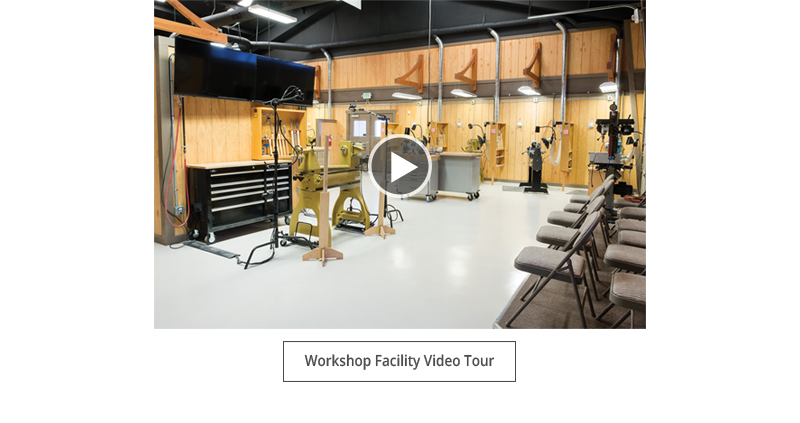 Designed by Dale L. Nish, it has everything needed for students to enjoy woodturning in environment that’s warm, welcoming and conducive to learning. This includes individualized workstations complete with all the necessary tools, chucks and accessories for you to have a first-class experience. Ample high intensity lighting, on-demand air, powerful Oneida dust extraction at each workstation, and fully furnished break room guarantees the time you spend with us will be in a clean and comfortable working environment.